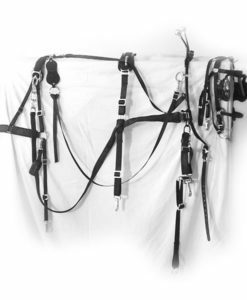 Chimacum Tack offers a variety of harness and tack designed specifically for donkeys and mules of all sizes, just as we have done since the early 1990’s. Within a week of opening our first website in 1993, we began getting requests for donkey, mule, and draft long ear products simply because almost nothing was available on line for any of those sizes. Not much was available on line for minis or ponies either, so we spent at least 2 years developing products that fit these specialty sizes. 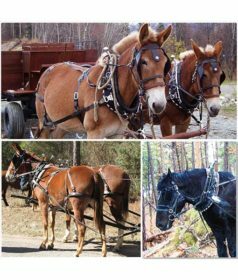 Donkeys and mules have differently shaped bodies and faces than horses, and tack designed for horses seldom fits donkeys and mules correctly. We’ve worked with donkey owners and our manufacturers for years to develop products that fit, perform, and last, spending months getting the proportions and the materials just right. 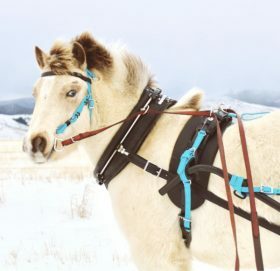 Almost no one made VSE harness then; almost no one had experience in fitting minis or mini donkeys and mules. Just getting the fit exactly right was a chore! We redesigned, refit and refined until everyone was happy. If you don’t see what you’re looking for, just call us and we’ll be glad to help you get what you need. 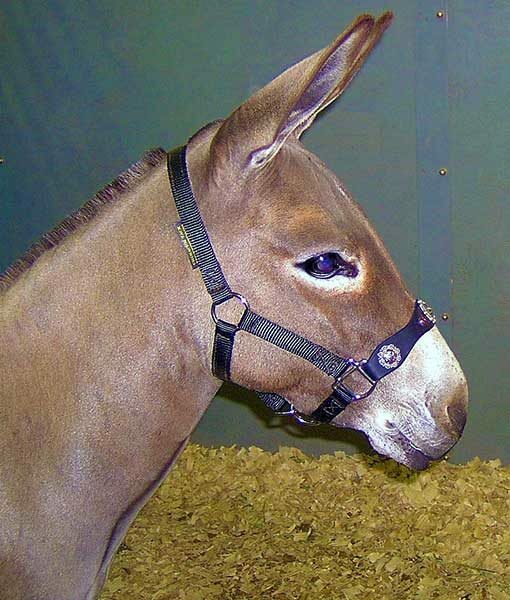 Halters and Bridles: Donkeys and mules have wider foreheads and longer faces which require longer poll straps than horses. They also have narrower noses and wider jaws. 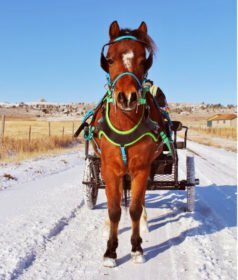 In addition, their longer, wider ears are sensitive and allowance must be made to fit bridles and halters in a way that doesn’t constrict or cause discomfort to their ears. 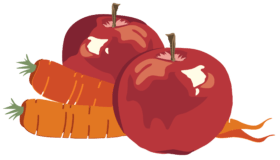 Blinds for bridles are also generally quite different for donkeys – larger animals often use pigeon wing blinds rather than square of hatchet shaped, while mini donkeys frequently use square blinds. 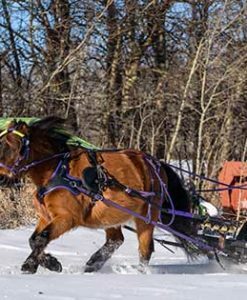 Harness – Donkey and mule shoulders and chests are narrower and the airways sit a bit differently than on horses. Because their body shape is different than a horse girth requirements are different as well. 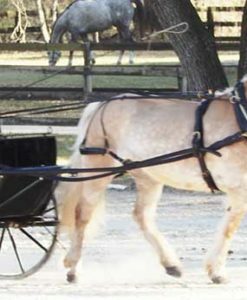 Back length, and general proportions for donkey and mule harness are different than for horses. 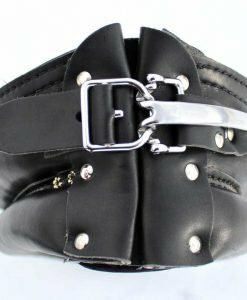 Breast collars – Straight strap, traditional breast collars do not differ from those used on horses, however frequently straight strap breast collars are a poor choice for donkeys and mules. (This is true as well for horses.) 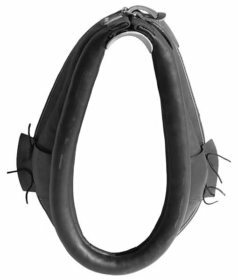 A better choice of breast collar for donkeys and mules is a shaped collar designed especially to fit donkeys and mules. 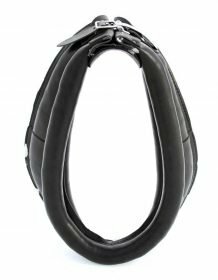 Neck collars– Donkey and Mule neck collars are shaped differently than horse collars. Mule/Donkey necks tend to be more straight and sometimes slab sided than horses so neck collars are usually offered in “Mule/Donkey” shape as opposed to the Full Face, Half Sweeny or Full Sweeny shapes used with horses. 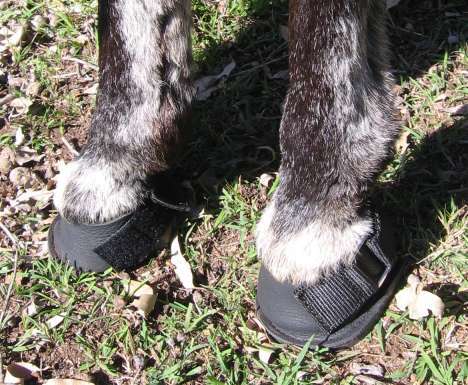 Superflex Collars– The new Superflex collar works extremely well for donkeys and mules. 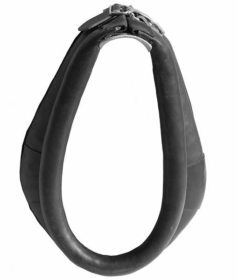 The Superflex combines the features of a well cut, deep V breast collar with the functionality of a neck collar. 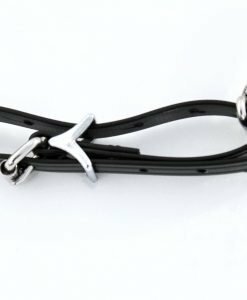 Because the collar is flexible it conforms to the shape of your animal’s neck and shoulders beautifully allowing the animal to harness the power of his hind quarters while still pushing with his shoulders. Saddles– Donkey and Mule backs tend to be broader, more compact and somewhat flatter than horses. 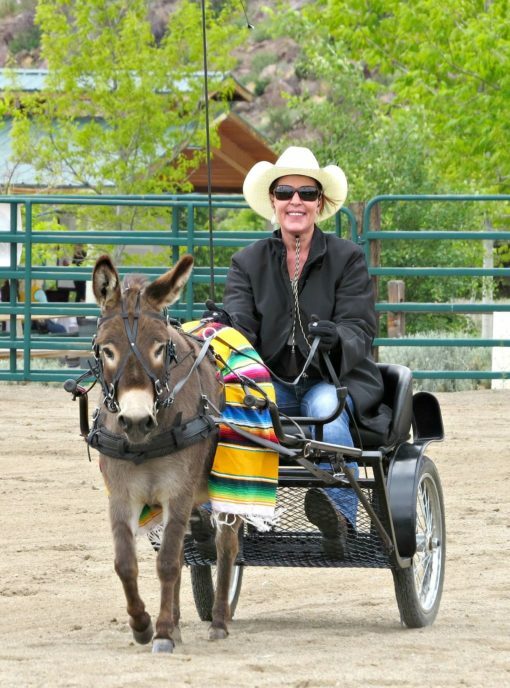 Saddles need to be made to conform comfortably to the donkey/mule back. 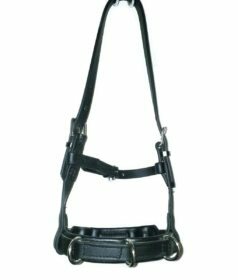 Measurements are not required from you to purchase mini donkey- mini mule size harness because the standard mini/donkey, small donkey harness sizing we have used for 22 years FITS EVERY SINGLE MINI DONKEY/MULE we’ve ever put it on with the exception of one bridle in 1995 which we hard to replace the cheeks on – although I no longer remember why. What Tack do we Offer for Donkeys?